In ordinary years, Earth grazes the edge of Swift-Tuttle’s debris zone. Occasionally, though, Jupiter’s gravity tugs the huge network of dust trails closer, and Earth plows through closer to the middle. This appears to be one of those years. 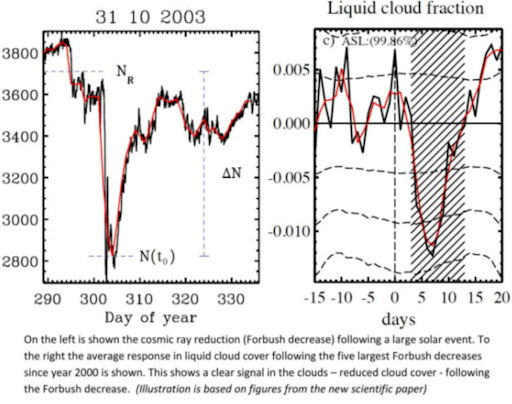 Experts at NASA and elsewhere agree that three or more streams are on a collision course with Earth–hence the outburst. Observing tips: Go outside between midnight and dawn on the morning of Aug. 12th. Allow about 45 minutes for your eyes to adjust to the dark. Lie on your back and look straight up. Perseids can appear anywhere in the sky, but their tails will point back to a single point in the constellation Perseus: sky map. Increased activity may also be seen on the morning of Aug. 13th. Got clouds? 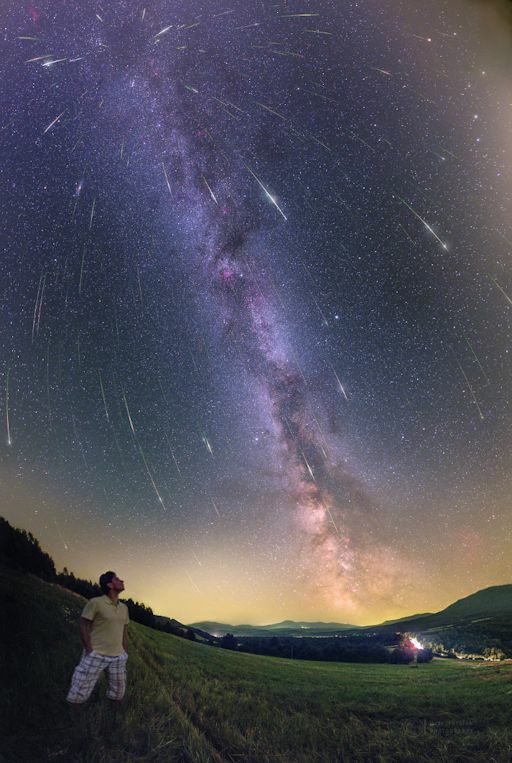 NASA is planning a live broadcast of the Perseid meteor shower overnight on Aug. 11-12 and Aug. 12-13, beginning at 10 p.m. EDT. You can also listen to radar echoes from the Perseids on Space Weather Radio. More webcasts: from Israel, from Alabama. Yet aurora scientists say they probably have nothing to do with protons. There is some visible light from proton auroras, but the structures they make are not tight and filamentary, but rather broad and diffuse–“in part because the gyroradius of protons is large,” says Ahrns. In other words, massive protons circle around magnetic fields in broad lazy arcs unlike lightweight electrons, which can tightly circle magnetic fields to form narrow structures. 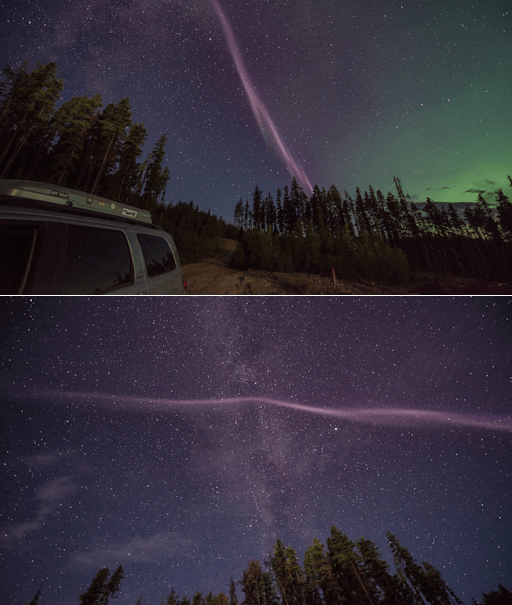 So what are the “proton arcs” often photographed by amateur aurora chasers? 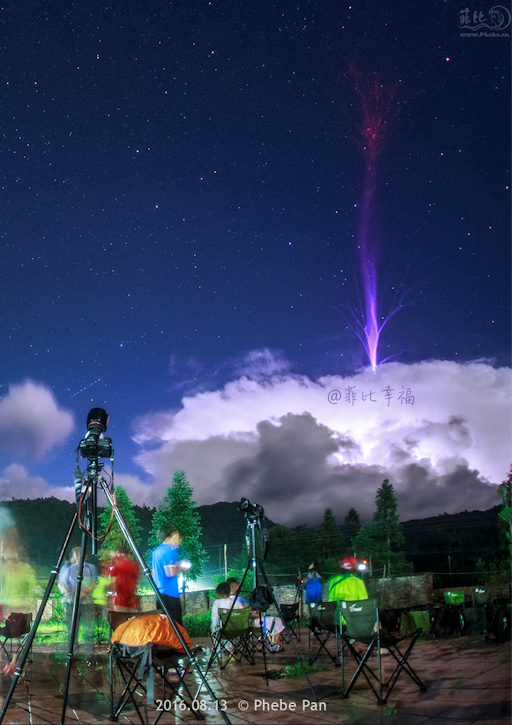 “I don’t know,” says Ahrns, “but it is something many of us would like to get to the bottom of!” For more examples of this mystery in the sky, browse the Proton Arc Photo Gallery.